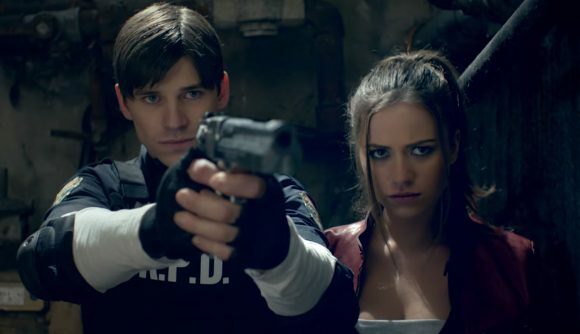 Resident Evil is getting a Netflix series, according to a report by Deadline. Netflix is partnering with Constantin Film, the German production company behind the movies, and the series will “deepen the existing mythology” and “keep the basic premise” that set up said movies. The film series was a loose adaptation of the zombie horror games, dialing up the action and down the classic horror. The first in particular also had a more sci-fi vibe, being set in a shiny laboratory with laser defences, rather than the grim and gritty streets of Raccoon City. Still, the movies share many of the games’ plot elements and, naturally, feature plenty of zombies getting killed. They are also the most successful videogame movie series ever, numbering six films and having grossed over $1.2 billion worldwide. It sounds like Constantin might be envisaging a connected Resident Evil universe, where the TV show fills in around the movies. Perhaps Milla Jovovich will guest star?